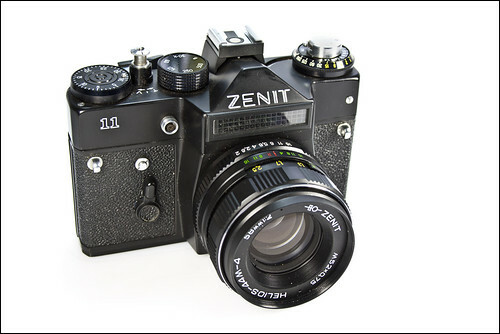 The KMZ and Belomo manufactured Zenit 11 (Зенит 11) 35mm SLR was a member of the Zenit E family derived from the Zenit ET but with different control placement and generally in all black but examples with chrome tops are known. Examples were produced with several strap lug variations and with the Zenit name in either Latin or Cyrillic script. It was produced from 1981 through 1990. Shutter speed: 1/30, 1/60, 1/125, 1/250, 1/500 and Bulb mode. 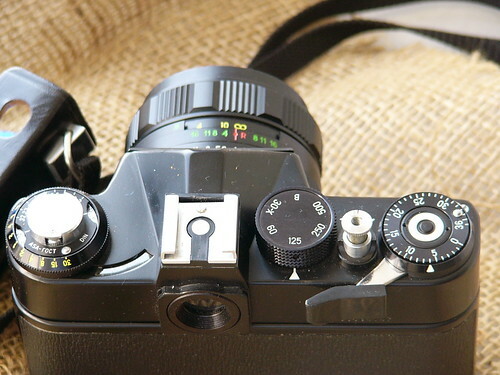 Normally equipped with automatic aperture. Meter: Uncoupled selenium meter above the lens mount. This page was last edited on 11 May 2017, at 10:33.